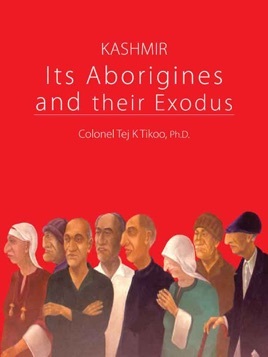 Exodus of Kashmiri Pandits from Kashmir in 1989, was their seventh such exodus since the arrival of Islam in Kashmir, in the fourteenth century. This was precipitated by the outbreak of Pakistan-sponsored insurgency across Kashmir Valley in 1989. The radical Islamists targeted Pandits - a minuscule community in Muslim dominated society, creating enormous fear, panic and grave sense of insecurity. In the face of ruthless atrocities inflicted on them, the Pandits’ sole concern was ensuring their own physical safety and their resolve not to convert to Islam. Pandits’ travails did not end with the exodus. The obstructive and intimidating attitude of the State administration towards the Pandit refugees, made their post-exodus existence even more miserable. The Government at the Centre too remained indifferent to their plight. This book traces the Pandits’ economic and political marginalization in the State over the past six decades and covers in detail the events that led to their eventual exodus. In the light of ethnic cleansing of Pandits from the Valley, the book also examines some critical issues so crucial to India’s survival as a multi-cultural, liberal and secular democracy.